For much of the 1980s, the England team was about the Robsons. The manager was Bobby Robson, the captain was Bryan Robson. 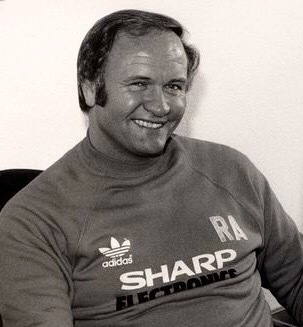 Bobby, like Manchester United manager Ron Atkinson, adored Bryan. His fierce will-to-win, bravery, box-to-box approach and leadership qualities all made him integral to the teams he played for. In an era between the departure of Kevin Keegan and emergence of Paul Gascoigne, Robson was a strong contender for the most famous current English footballer. Atkinson had forked out a then British record £1.5 million to get Robson to follow him from West Bromwich Albion in 1981. “Solid gold” was Big Ron’s description of the player, as he justified the transfer fee. Although he wasn’t without his critics (as a Google search of ‘Bryan Robson over-rated’ will confirm), there were plenty who idolised Robson and shared the view of his managers about how important he was. Naysayers would have found it hilarious that Bobby Robson considered his namesake to belong in the same category as such greats as Diego Maradona and Michel Platini; others would have seen nothing wrong with that view. 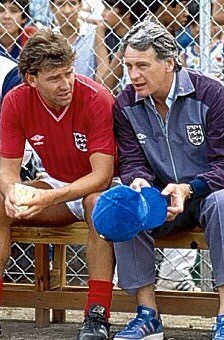 Bobby Robson was a big fan of his namesake and England captain Bryan. But one persistent problem throughout Bryan Robson’s career was injuries, something the player’s critics were happy to point out. His courage and desire to scrap for every ball probably did not help, as he would all too frequently have to spend time on the sidelines after sustaining an injury in the heat of battle. He had to sit out a number of crucial games for both club and country during his career, with perhaps his most high-profile injury woes prematurely ending his participation in the 1986 World Cup in Mexico. Robson was arguably at his peak at 29, well-established as England captain and considered central to the team’s prospects. But shoulder injuries sadly do not magically heal just because it’s the World Cup. As with Kevin Keegan in 1982, David Beckham in 2002 and Wayne Rooney in 2006, the nation became obsessed with a key player’s injury concerns going into the World Cup. For Robson it all happened in Monterrey, a long time ago. 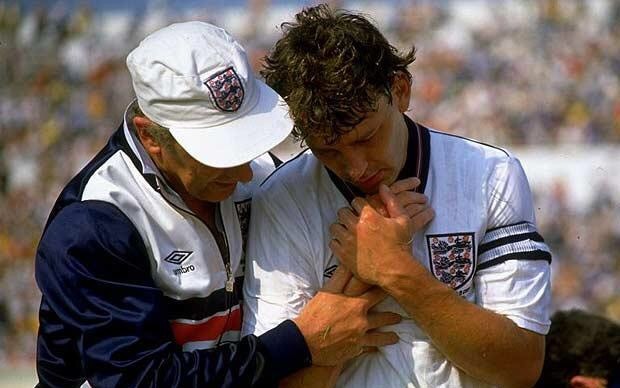 Bryan Robson is helped by physio Fred Street after his injury against Morocco. Despite not undergoing surgery, Robson still spent several weeks on the sidelines but the campaign ended with him lifting the FA Cup. The 1985-86 season began well for Robson and United, with the team famously winning their opening 10 league matches. Robson could dream of captaining his club to the First Division title and then his country to World Cup glory. On October 16 England booked their place in the World Cup finals and recorded a 5-0 win over Turkey, but Robson went off with a hamstring injury. It was the start of a catalogue of problems that blighted his campaign. United were looking increasingly less assured at the top of the table and they would end up trundling home in fourth spot. In the FA Cup fourth round Robson was sent off at Sunderland and then he sustained an ankle injury in a league match at West Ham United a week later. But it was in a delayed fifth round FA Cup tie at the same ground on March 5 that his World Cup dream took its first serious dent. A week earlier headlines appeared of ‘were would we be without him?” after Robson scored twice, including the BBC goal of the season, as England won in Israel. Now it looked like we might have to find out in the World Cup, as Robson began clutching his shoulder on the Upton Park turf. He had once more dislocated it, less than three months before the World Cup began. In the Daily Express two days later, John Bean wrote: “The Manchester United and England captain’s second shoulder dislocation in 14 months will leave him with just enough time to get fit to board the plane to Mexico and the World Cup in May. But the big fear is that after two dislocations of the same joint Robson could easily suffer the problem a third time.” His words would sadly prove prophetic. Atkinson’s reply made clear there would be no change of mind. It was an understandable situation, given that United were still in with a shout of the title and Big Ron was starting to come under pressure over their recent form. He knew Robson could be the difference between success and failure, being willing to gamble on him even when not fully fit. Manchester United manager Ron Atkinson was not willing to sacrifice his captain to help England’s cause. Three days later those fears were realised when England played Mexico in Los Angeles. The captain was in a typically competitive mode and he made a sliding tackle that ended with him clutching his shoulder, which had popped out. Although it was placed back in quickly by the England team medics, it was now clear to the management just how serious the problem was and how loose the shoulder had become – even though they tried to hide the injury from the media when questioned. Manager Robson was now beginning to contemplate life without his captain. The player was typically back in training just two days later, only to then sustain yet another hamstring injury. It seemed a never-ending tale of injury woe. But he was adamant he was okay. He wrote: “If I’d had any doubts about my fitness for our first match, against Portugal, in Monterrey, or the rest of the World Cup, I would have pulled out. I believed I could play my part in helping England go all the way.” Robson missed England’s friendly win over Canada, in which Gary Lineker sustained a wrist injury that briefly threatened his World Cup prospects. With Mark Wright having already been ruled out of the finals with a broken leg, injury problems seemed to be mounting for the team. When England took on Portugal in their opening World Cup match against Portugal on June 3, Robson was in the starting line-up. The waiting was over, now the nation had to hope and pray the captain came through unscathed. When Robson challenged to win a header in the box, there was brief panic as he feel to the floor. “That was a worrying moment for me and I’m sure everyone,” said BBC co-commentator Jimmy Hill, relieved to see the captain get up as if nothing had happened. The game ended in a disappointing 1-0 defeat and Robson came off a few minutes before the end, but he had not seemed inhibited by his injury concern. It was a lasting image of the competition. Robson would maintain England should have had a penalty over the incident, but nothing was given and he had barely left the pitch when vice-captain Ray Wilkins was red carded after throwing the ball back towards the referee. 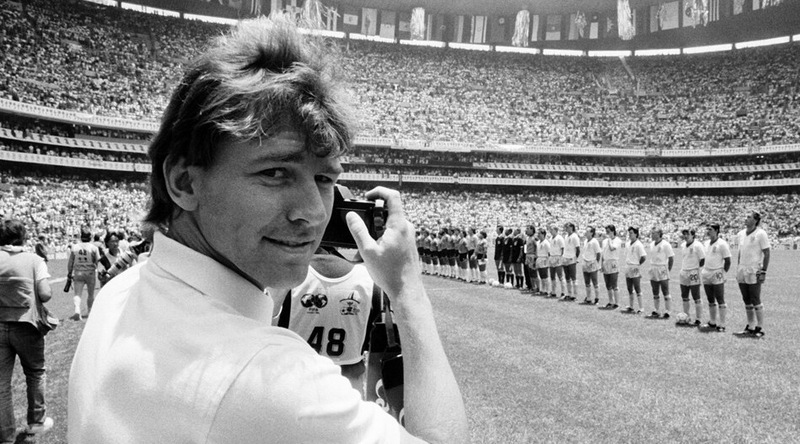 The moment Bryan Robson’s World Cup dream was shattered. 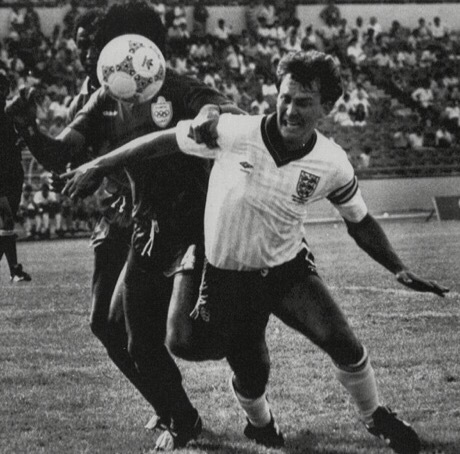 Four years earlier, Robson had gone off with a knock in the second match of the World Cup against Czechoslovakia but he recovered to play in the second phase matches. This time his World Cup dream appeared to lie in tatters and there was a serious chance England wouldn’t remain in the competition beyond their final group game. Both the manager and captain were quoted afterwards as accepting he was definitely out of the competition, but as England prepared for their do-or-die match against Poland on June 11 there was growing speculation Robson could pick Robson again. It wasn’t well received. But the manager did not let his heart rule his head, leaving the captain out of the Poland game as England got their act together with a 3-0 win. A change of personnel seemed to help England flourish as a team. They followed it up by beating Paraguay by the same score. England had proved they could thrive without Captain Marvel, with critics happy to point this out when the extent of Robson’s abilities are discussed. Now they faced a quarter-final showdown with Argentina, starring Diego Maradona. But the reality was Robson had been left a spectator for most of the competition, with Gary Lineker perhaps now replacing him as the national football hero. Robson would miss the start of the 1986-87 season, with his absence felt as Manchester United experienced a poor run of form that eventually cost Atkinson his job. He too may have wondered if things would have panned out differently if Robson had been allowed to have the operation prior to Mexico. Robson went on to play for England for a further five years and in 1990 he remained captain under his namesake. At 33 there wasn’t quite as much hype and expectation surrounding him going into the World Cup finals as four years earlier, but he was still seen as a key player in the side. But Second Game Syndrome struck again as he limped out of England’s match against the Netherlands and a few days later he was flying home. For the second World Cup running England achieved success without Robson, who was left to provide analysis for the BBC during the semi-final against West Germany. Once more an injury had come at the worst possible time for him – and this time he knew any realistic hope of playing in a World Cup again had gone.